The Edison State Community College men’s and women’s basketball teams both improved to 19-4 with wins over Bryant & Stratton Saturday. The 19th ranked Edison State men’s basketball team took a 43-29 halftime lead and held on for an 89-77 victory. Bryant & Stratton dropped to 1-17 with the loss. 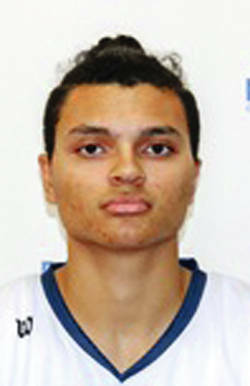 Lacey Watson had 26 points and 13 rebounds for the Chargers, while Roman Morgan scored 13 points. Lamine Komara and Mitchell Woods each scored 12 points and Komara added three steals. Dakota Prichard dished out four assists. LaQuan Taylor had 24 points and eight rebounds for Bryant & Stratton. Tyree Harris had 18 points, while De’Sean Reed had 15 points, five rebounds, five assists and five steals. Jordan Dukes and Cliff Garner both grabbed 11 rebounds. ESCC was 33 of 69 from the floor for 48 percent, including seven of 28 from long range for 25 percent. The Chargers made 16 of 28 free throws for 57 percent. Bryant & Stratton was 27 of 78 from the floor for 35 percent, three of 13 on 3-pointers for 23 percent and 20 of 32 from the line for 63 percent. Bryant & Stratton won the battle of the boards 56-42, but had 21 turnovers to Edison State’s 20. Edison cruised to an 81-43 victory over Bryant & Stratton. ESCC led 19-6, 36-16 and 59-23 at the quarter breaks. Bryant & Stratton dropped to 2-16 on the season. 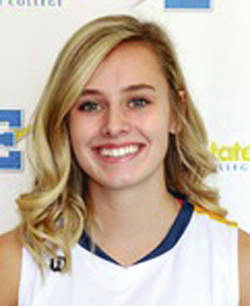 Clair Schmitmeyer filled out the stat sheet with 18 points, 14 rebounds, eight assists and three steals for the Chargers. Brogan McIver had 14 points and seven assists, while Sarah Pothast had 10 points and seven rebounds. Kennedie Reese had nine points, six rebounds and six assists, while Lauryn Gray had eight points and six rebounds. Kayla Tullis added nine points. Rachelle White had 22 points and eight rebounds for Bryant & Stratton, while Aliyah Mullins had eight points and five rebounds. Kasey Dixon grabbed 10 rebounds and Amanda Lyons pulled down six rebounds. Edison State was 35 of 66 from the floor for 53 percent, including five of 12 from 3-point range for 42 percent. The Chargers made six of 12 free throws for 50 percent. Bryant & Stratton was 15 of 71 from the floor for 21 percent, two of 17 from long range for 12 percent and converted 11 of 24 free throws for 46 percent. Edison State won the battle of the boards 53-43 and had no turnovers to Bryant & Stratton’s 23.